proceeding for Palumbo shipyard for refit. 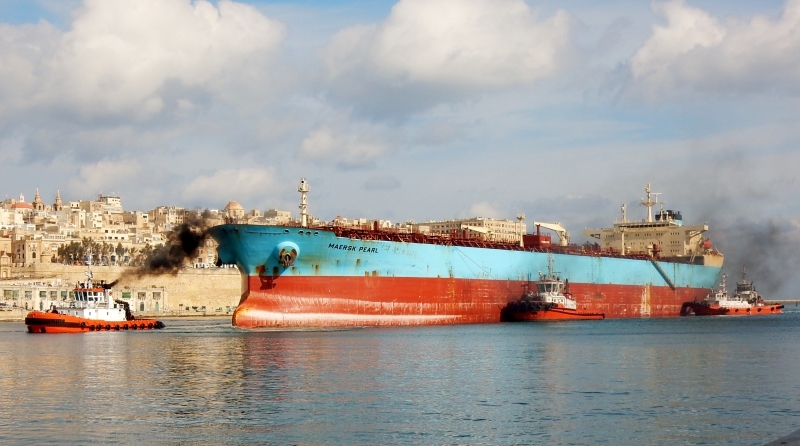 Thanks Clyde, re the MAERSK PEARL pics, the background is of Valletta, Malta's capital city, a fortified city with bastions encircling her built in 1566 by the Knights of Malta on a peninsula, with two magnificent harbours on both sides. She was named after the Grand master Jean de la Valette, the victorious grandmaster of the Great Seige of 1565. Just google for more better information than I have provided. 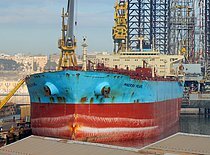 Thanks Mike ,the MAERSK PEARL as assisted by 4 tugs, though only 3 are seen in photo, it is usually only 3 tugs, and there was not any adverse weather. Beautiful and very busy looking picture. Best regards, Mike.